It was written by skilled professionals and is jam-packed with the most advanced tips from the global marketing industry. 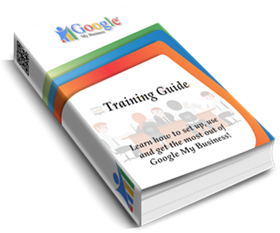 It is compiled with precision and enriched with time-tested methods for getting listed on Google My Business. Without a firm foundation and knowledge, this can be very overwhelming at first, which is why we want to make it a total no-brainer for you to get started today! To set your business apart from other businesses in your industry. To save your time and resources simultaneously enhancing your profits. To download the guide, click on the button below. © 2018 WP Nearby Places - by Albert Harlow & Sons, Inc.